03-03-2019 567 needy families benefit from SEWA, SC.. The Sharjah Charity International (SCI) praised the Sharjah Electricity and Water Authori..
27-02-2019 Ministry of Interior honoures SEWA His Excellency Dr. 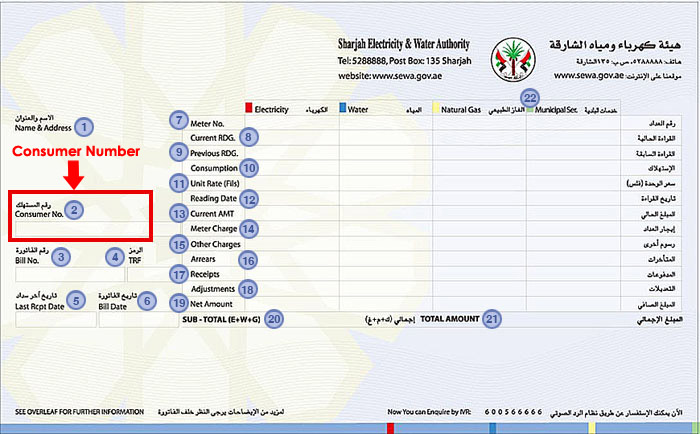 Engineer Rashid Al Leem, Chairman of Sharjah Electricity and Water Aut..
How to get consumer number?